Strange Harvest is an appropriately named darkwave duo from Dunedin, New Zealand. Combining minimalist electronics and guitar, they create soundscapes that are dreamy, cold, and a bit unsettling. They released an LP titled In A Replica City in May 2013, which you can stream it at the Bandcamp link below. Two young video directors, Phoebe Mackenzie and Emily Berryman, have made an intriguing video for "Amnesia", the closing track on the album. Because if the majors aren't ready, willing or (more to the point) able to appreciate your awesome stuff, why deprive those of us in the Texas League of those knee-buckling curves and teeth-rattling brushback pitches? An ace is an ace, after all. "Vote For Me Dummy" could fit in with the best stuff on Bee Thousand and Alien Lanes, but there are also tracks here that bear the imprint of Big Rock Bob from the "hi-fi" era: album closer "Alex and the Omegas", with its glossy guitars and fully loaded vocals, would fit in on Do the Collapse or Isolation Drills. Speaking of those albums, by the way, it's not like Bob didn't give the major leagues a chance to appreciate his devastating collection of out pitches, is it? Also continuing a recent trend, there are five creamy, delightful, psychedelic contributions from Tobin Sprout, whose facility with vocal harmony has never been better than it is on "Some Things Are Big and Some Things Are Small". That one builds to an almost unbearably sweet crescendo of multi-tracked Sprout vocals, whereas "Jupiter Spin" is a bit more guitar-based. With 20 tracks, song lengths that vary from 1:12 to 3:03, it doesn't take long to get into this album. As always, the band makes big melodies but doesn't need to linger... somehow, throughout Pollard's career, it has been a truism that his 1:30 or 2:00 packs more hooks and melodies than most artists can cram into 3:30, and Motivational Jumpsuit is no exception. 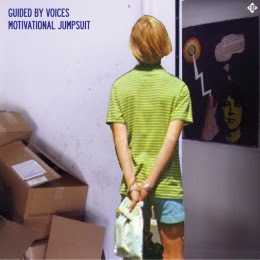 It's out this week (Feb. 18) and available via GBV Digital and Rockathon. 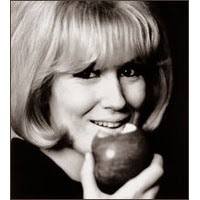 Soul Corner: Dusty Springfield "Where Is A Woman To Go"
We have to bring back the Soul Corner today to highlight a song that we somehow overlooked and just discovered by one of our favorite all time singers. Her name is Mary Isobel Catherine Bernadette O'Brien, but you probably know her by her stage name, Dusty Springfield. The London born superstar had a string of hits in the 1960's-70's and established herself as one of the most respected and revered blue-eyed soul singers ever. Late in her career in 1994, long after the hits stopped, she went to Nashville to make what turned out to be her final album A Very Fine Love. Originally (ill) conceived to be a country record called "Dusty in Nashville", the songs took a different turn during recording towards less of a 1994 Nashville country sound to a more rootsy Americana effort. It did nothing to rekindle her stature from Springfield's Dusty in Memphis days, but it had at least one amazing song that stands with anything she ever recorded. Country, Americana, pop, whatever you want to label it, that is some kind of soul singing, worth bringing the Soul Corner back for another week. I picked up a new Dusty Springfield compilation this week with most of the hits ("Wishin' and Hopin'", "Son of A Preacher Man", "What Do You Do When Love Dies", etc. though inexplicably omitting "I Only Want To Be With You"), but the song that killed me was one I'd never heard before - "Where is A Woman To Go". I'm guessing I'm not the only one out there who missed this one before now. Enjoy. 1977 was not a good year for Keith Richards and the Rolling Stones. Richards' arrest in Toronto for heroin possession made time in prison a real possibility. 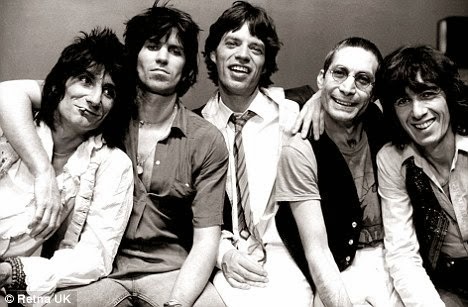 While all that was hanging over their heads, with the band's future seriously in jeopardy, and amidst the ensuing media circus, The Stones recorded Some Girls, released in 1978. Of course, in the end Keith did walk. He did move while it was still fun, in fact went on to have quite a bit more fun. This week's Rolling Stones Friday was suggested by one of you out there (thank you good sir!). Nothing better than getting requests here. Please send them my way any time in the comments section here at WYMA or any way you know how to reach me. Paper Trees, Black Twig's 2011 debut was an intriguing blend of shoegaze and drone. For their sophomore record, Heliogram, the Finnish band takes a broader approach to guitar pop, adding psychedelic elements and crafting more dynamic melodies. For my ears, the result is a lighter, more pop-oriented album that sacrifices none of the warm tones that initially drew me to Black Twig's music. My overall impression is that if Teenage Fanclub were injected with a minor dose of Nordic melancholy, Heliogram could be the result. Lower register guitar chords, harmonies, lo-fi fuzz and dreamy soundscapes predominate. It is a big, bold, room-filling sound that demands well-crafted song structures, and fortunately, Black Twig delivers fully delivers on that score. And for those concerned about such things, the lyrics are in English. Black Twig deserves to have an audience beyond Northern Europe, and Heliogram should deliver it. You can take it for a test run with the second track, "Pastel Blue". Black Twig is Aki (guitars/vocals), Aleksi (drums), Janne (guitars/keys/backing vocals), and Kaarlo (bass). Heliogram is out now on Helsinki's Soliti Music label. Chalk and Numbers are a current Brooklyn duo that channel '60s pop influences into music that resists neat categorization to era or genre. Vocalist Sable Young is on one-person girl group, and in another time songwriter/instrumentalist Andrew Pierce would have been the most in-demand tunesmith in the Brill Building. And with the benefit of modern production, including the conscious decision to avoid cluttering the sound with fuzz and reverb, and Andrew's surf guitar frills, this music is irresistible. And since resistance is futile, be advised that our friends at Soft Power Records have compiled six songs - five from previous releases (including three songs that were included on the band's well received 2013 EP) and one first available on this recording - in a limited edition Cassette Compilation. You can sample two songs below, and stream the entire EP at the Bandcamp link for the compilation. Cheatahs are a UK shoegaze/guitar rock band, consisting of Nathan Hewitt (vocals/guitar), Marc Raue (drums), Dean Reid (bass/vocals), and James Wignall (guitar/vocals). They've gotten in touch with us three times about their music, and we've been glad to share it with our readers because their fast, roaring mix of noise, drone and heavy guitar glaze is hitting every rock button we hold dear. Last year we wrote about Extended Plays, a collection of tracks (WYMA review here), and the singles "Cut the Grass" and "Kenworth" (WYMA post here). 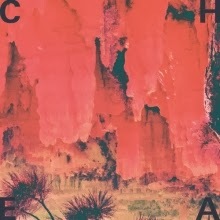 Both of those tracks are on the album, Cheatahs, out now (Feb. 11) via Wichita Recordings. To begin with, quoting Scott's review of Extended Plays, I can't really improve on his characterization of Cheatahs music as a "prime rock cocktail" - so just know that plenty of 90's guitar rock influences are on full display and very well-played here. The album features plenty of melody - to me, that's its strong point. There is also plenty of noise - though the drums and bass are sort of behind the guitars, there is a full-on pounding quality to the rhythm section, especially on tracks like "Geographic", which also features vocals that put me in mind of a cross between Teenage Fanclub and Swervedriver. The band is not plowing new ground, but they certainly are playing great guitar rock. This record is a really fun listen, one that won't wear out its welcome even though you'll feel you've heard most of these sounds before. Much like those Swervedriver and Dinosaur Jr. records this points to, I feel like this one will still sound good years from now... great guitar rock never really goes out of style, does it? If you are familiar with Rose Keeler-Schaffeler, you have been waiting for her debut album as Keel Her for a long time and I need only mention that Critical Heights released it in the UK on February 10, and will release it on February 25 in the US. But now I'm writing to the rest of you -- this self-titled album from a truly prolific songwriter is one of most melodic balls of jangle, fuzz, feedback, and distortion that you are going to find this year. Some songs take you back the the '60s garage, some employ menacing synths, and many provide Rose's own twist of '90s slacker pop. The scuzz is adroitly balanced by dream pop and multiple spoonfuls of sugar, and the lo-fi approach never becomes tiresome because Rose doesn't lock herself into a single style. It probably must be said that the influences for Keel Her are not hidden. But it takes genuine imagination to turn them into the music on this record. Moreover, one of the most charming aspects of this album is that I can put it on at night and be delighted by the varied vehicles that Rose has created for her musical musings. This album is going to be in rotation for a long time. If Italy isn't one of the countries that comes to mind when you think of dream pop and shoegaze, Be Forest is here to educate you. The oddly named four-piece is from Pesaro, a town on Italy's Adriatic coast that has nurtured a prolific rock music scene. Be Forest started as a trio: Nicola Lampredi (guitar, and also guitarist with the band Brothers in Law), Costanza Delle Rose (bass and vocals), and Erica Terenzi (drums and vocals). For this album the added Lorenzo Badioli to handle synths and other electronics. The music walks the line between chilly desolation and romance. Perhaps one could say it specializes in romantic despair. But for my ears, gloompop is pop music, and I enjoy the way Be Forest creates their icy soundscapes. Moreover, I think that Nicola Lampredi is a very talented guitarist, who augments the usual dream pop/shoegaze arsenal with a bit of twang. Earthbeat is out now on the We Were Never Being Boring label. The Trouble With Templeton began as Australian Thomas Calder's solo project, with the release of a mini album in 2011. TTWT has grown to five members and released their debut album, Rookie, in Australia in August 2013. The band now is signed to Bella Union, and Rookie will get its international release in May. On the evidence of the tracks I've heard, I think this should be a breakout year for TTWT. Their songs are passionate and melodic, exploiting emotional contrasts and reveling in their own eccentricity. You can test TTWT out with the most recent offering from the album, "Soldiers". I've also included the video from a previous single, "Six Months In A Cast".